The International Christian Embassy of Jerusalem (ICEJ) has stepped in to help facilitate the immigration and absorption of Ukrainian Jews who wish to escape the violence and anti-Semitism that has become rampant in the country. The ICEJ was approached by the Jewish Agency approximately six weeks ago with an urgent request to help sponsor flights from Ukraine for Jews wanting to leave the region. “We have been raising funds since then. So far we have raised enough to facilitate the immigration of approximately 100 Jews,” explained Parsons. The Jewish Agency has been expecting an increase in immigration from the Ukraine in light of recent events over the last few days, as anti-Semitic acts have been continuously on the rise since the conflict, with a dramatic spike over the weekend. “It is getting very dangerous for Jews over there,” said Parsons. Parsons relayed that the reason the Jewish Agency called upon the ICEJ is that they have maxed out their allotted yearly budget for immigration from the region and that the ICEJ has been a long time partner of the Agency in bringing Jews from former Soviet countries to Israel. Since 1989 the ICEJ has been involved in helping to bring over 115,000 Jews to Israel including 42,000 from the Ukraine, with majority from the former Soviet Union. The numbers clearly speak for themselves. 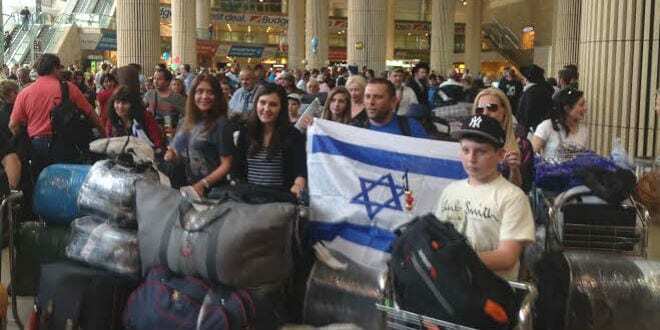 The 115,000 Jews the ICEJ has helped make aliyah is approximately 10% of total immigration over the last 25 years from the former Soviet bloc. At the time of this interview, 19 immigrants from Ukraine as well as others from Russia were landing and being processed at Ben Gurion airport after fleeing their countries for fear of their lives. “In spite of the differences in their countries, the immigrants share a certain bond in their Jewishness that bridges their differences and the tension,” Parsons said. One of the newest olim [immigrant], Daria Granovsky, a Jewish single woman working on a marketing degree, expressed her thanks and excitement over her life-changing journey. In addition to the help provided to the Jewish Agency, the ICEJ has also been partnering with Israel Returns director Michael Freund over the past two years with the aliyah of Bnei Menashe Jews from India. Believed to be members of Israel’s lost tribes, the Bnei Menashe have been vigorously completing religious processes that would enable them to return to Israel under the Law of Return. Until completion, private funding is the only means to bring these lost Jews back to their homeland. “Michael asked us to help out, so we did,” Parsons said. Israel Returns is trying to create a process by which the immigration of the Bnei Menashe happens much more smoothly and therefore have approached private funders such as the ICEJ. “We are happy to sponsor the Bnei Menashe in any way we can. 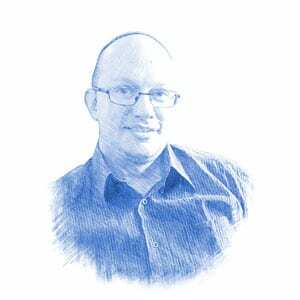 We are expecting another 500 Bnei Menashe by the end of the year and we are very excited about it,” Parsons added. When it comes to the situation in the Ukraine, Freund and his organization have been working tirelessly to assist Ukrainian Jews in any way possible. “The situation in the Ukraine continues to deteriorate daily as the risk of civil war and Russian military intervention continues to mount,” Freund told Breaking Israel News. “Ukraine’s Jews find themselves in an increasingly dire situation and it is essential that every effort be made to evacuate them before it is too late. I applaud the ICEJ for stepping up to play an active role in this rescue operation. The prophet Isaiah (49:22) foretold that the nations of the world would carry the Jewish people back to Zion – and that is precisely what we are witnessing now”.